As most of you know, the New Jersey shore was hit hard by hurricane Sandy. I watched and listened to the news coverage all week and felt helpless. On Sunday, November 3rd, I decided to do something about it. 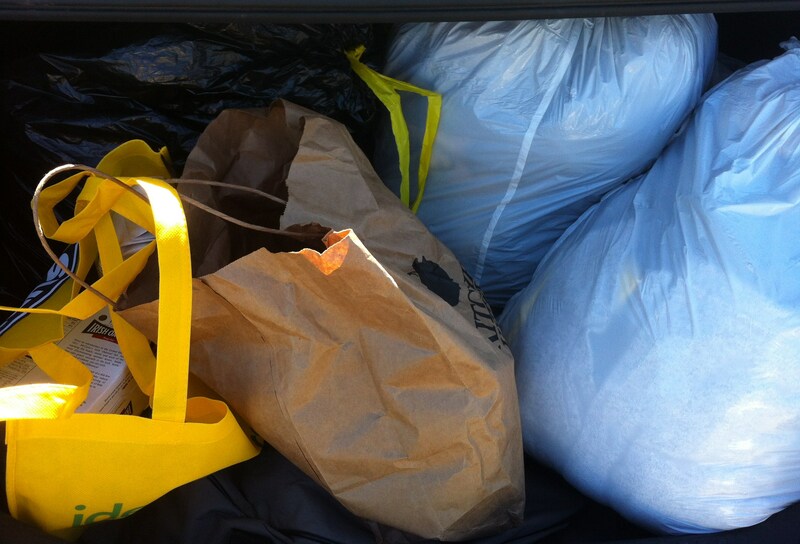 I gathered up clothes, blankets, canned goods, water, and headed down to Belmar to donate. When I arrived in Belmar, I was floored by the amount of donations and the number of people volunteering. Volunteers came from all over NJ and surrounding states with donations. A man and his daughter arrived with an entire Uhaul truck filled with various supplies. Two women arrived with 2 full school buses packed floor to ceiling with toys, blankets and other linens. It made my trunk full of donations seem quite feeble. All day long, car after car, truck after truck, the donations kept rolling in. I spent a majority of my time helping unload the vehicles and sorting the donations. It was an amazing, touching, and humbling experience. It is truly incredible what society can accomplish in a time of need. It was a great way to start my my quest to change the world, one deed at a time.